What's this, another looker from the seemingly-until-very-recently beigest of automakers? This swoopy headlight and air-intake belong to a new Lexus concept that will drop at the Detroit Auto Show next month and was penned by Lexus's American design studio specifically to appeal this market. Note how we used "appeal" and "Lexus" in the same sentence. 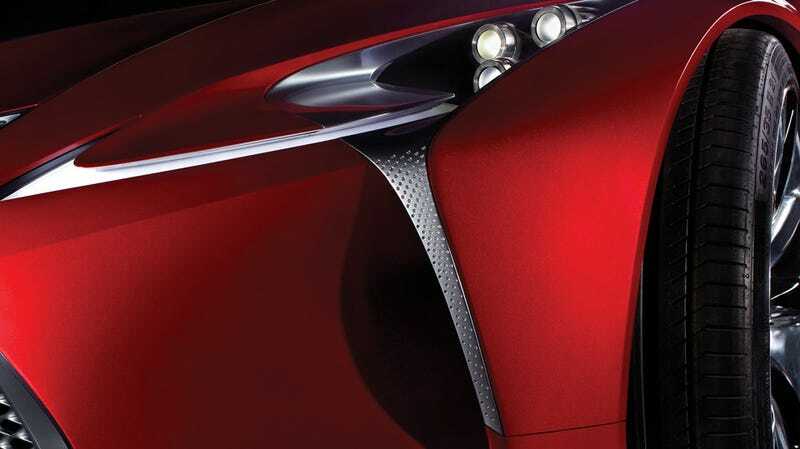 So far as we can tell, and after conversations with Lexus PR, the concept this nose is teasing is just a styling concept. But, along with cars like the sooooooooooooo expensive Lexus LFA and totally affordable Scion FR-S, it does suggest a new era of actually appealing Toyota cars. Guess they finally figured out that making people want to buy your cars is better than simply producing automotive suppositories.